This Canadian band has definitely stepped it up with their new album, 13 Voices. “A Murder of Crows” introduces the album, with slow violin classical riffs that suddenly burst into Sum 41’s punk style with strong guitar verses and grungy vocals. The song has a beautiful transition with a strong impact. “Fake My Own Death” is the classic punk grunge song of the early 2000s that Sum41 is known for. Every track afterwards is just as impressive—catchy, yet complex in lyrics and instrumentals. It is important to note that this is lead guitarist Dave Baksh’s first album in nine years, and that Frank Zummo has replaced Steve Jocz on drums. These changes may account for the slight differences and improvements of this album over Screaming Bloody Murder (2011). 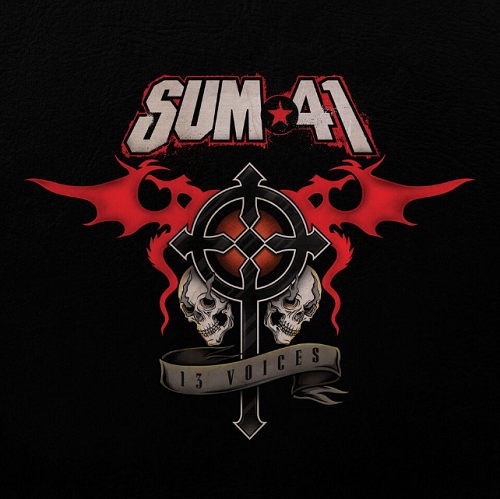 13 Voices is definitely something you can jam and dance to.